We now have 402 students!!!!! Construction on 3 new classrooms has begun thanks to your generous donations. Check out all our new photos in our Photo Gallery! Grace Between Nations Ministries is an interdenominational and holistic Christian organization existing to glorify the Lord Jesus Christ around the world from Toronto to Timbuktu. Our vision is to provide a means for God’s children to share their grace in Christ with other nations around the world. We and our partners seek to exercise our spiritual gifts of preaching, teaching, and healing for the glory of God. 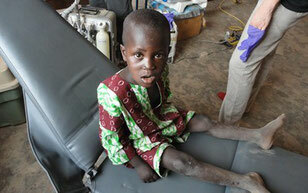 We are reaching the young children of Mali with the message of Jesus Christ who loves them. Our prayer is that from kindergarten to eventually grade 9 and as of Oct 2017; these children will learn how to read and write. Our main vision is to see Christ shape the lives of these young Malian children in San, Mali into men and women of Character, Competence and Success for God and God's people. UPDATE OF ABOVE NUMBERS TO FOLLOW SOON! We thank you for your faithful and ongoing support in prayers and finances. It is not uncommon for evangelism to take place in communities where less than 50% of the population can read and write. Christian education can help those populations to better direct the future of their own community and country. 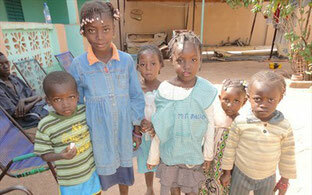 Many Malian kids do not have access to formal education. 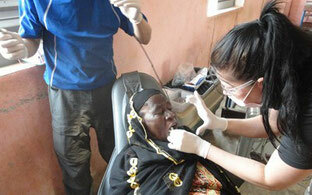 Consequently, the country continues to suffer the darkness of illiteracy and poverty in all its angles. GBNM, with its partners, is committed to play its role in this crucial domain of education in Mali so that other kids could have the joy of learning to read and write. In doing so, we will create an opportunity to not only glorify the name of the Lord in Mali, but we will also contribute to fight poverty. Jesus healed the sick and even touched the dead as part of His earthly ministry. Under His example, Christians are likewise called to bring physical, mental, and emotional healing to others in need. Accordingly, GBNM will establish local healthcare facilities to serve as a focal point and a resource for the provision of healthcare services. 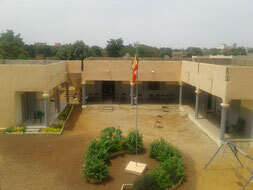 Fall 2018- The new school season has started and we currently have a record 402 students enrolled at our school in Mali. 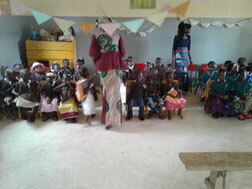 We have expanded the school with more classrooms to meet the ever increasing demand. Your financial support is greatly appreciated. If you wish to donate click the button below as you can do via PayPal. Thank-you! We are on YouTube. Check out our channel. For more videos be sure to click on the YouTube logo above and check them out. We appreciate your prayers and support.